I’m skiing this week. It’s snowed two feet in the last two days. So we will continue to dip into the archives until I come up for air, later this week. 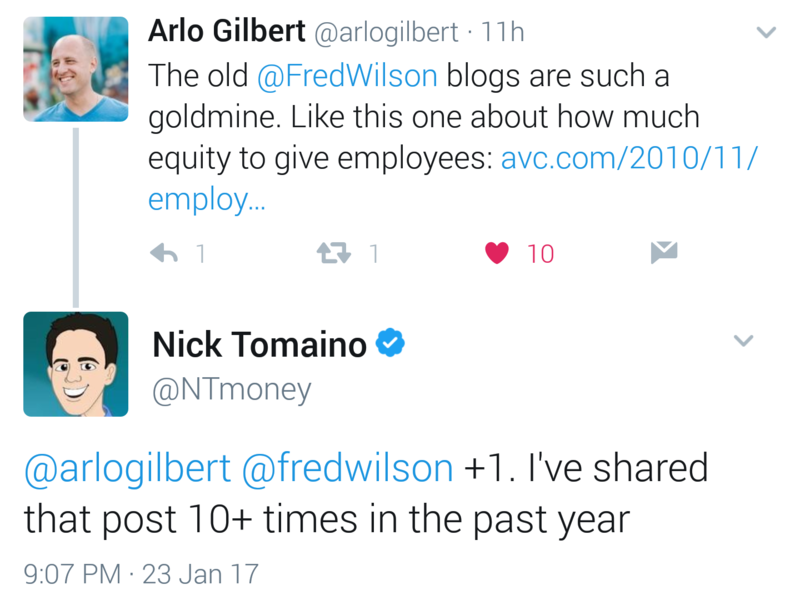 I saw this tweet exchange yesterday about my employee equity post. So I’ve reposted it here below.